The Pöschl Tobacco Group has been successful in the market for tobacco products for more than 100 years. Already in their fourth generation, the management are descendants of the company founder Alois Pöschl. Despite many changes and reorganisations in recent decades, the Pöschl Company has been able to establish themselves as an integral part of the medium-sized enterprises in Germany. This has been consistently reflected in recent years by the rankings of the list of "Successful Medium-sized Businesses", which are determined annually by the Wirtschaftswoche. The last time, Pöschl was in 21st place out of 100. More than 440 employees work at the main production site in Geisenhausen (near Landshut) - worldwide there are over 840 employees in the group of companies. A number which has grown slowly but steadily and which also includes a commitment for the Managing Partner Patrick Engels: "I'm proud that we have grown steadily over the years. The responsibility that goes with the fact that over 800 people and their families are relying on us, the management, to make the right decisions is not to be underestimated - but we are aware of this responsibility and are pleased to accept the challenge." Also when it comes to the packaging, Pöschl Tabak is always looking for innovative solutions: this is why we have developed a fine-cut tin which is easy to dispose of in the paper container. Because its label is made of paper which is bleached without chlorine, printed with eco-friendly colours and water-soluble paint. 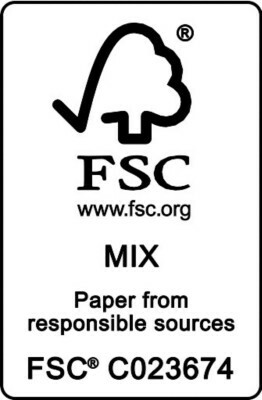 All the fine cut tins we produce for the German market as well as PUEBLO cigarette packs, -tins and pouches have an FSC-Mix label which ensures that the wood for all paper products used always comes from responsibly controlled sources and only certified raw materials are used. Pöschl Tabak closes legal contracts with all suppliers from where we source our raw tobaccos (code of conduct for suppliers) which regulate that the highest value is placed on compliance with carefully selected criteria. These criteria include in particular: renunciation of child labour, prohibition of forced labour, compliance with strict requirements regarding the working environment and conditions, prohibition of discrimination of any kind (including race, religion, gender, age or sexual orientation). Also, compliance with local salary structures is assured and guarantees that there is no cultivation of genetically modified varieties. If a supplier does not comply with these conditions - and even if it is only one of the points named above - Pöschl Tabak will terminate the contract with immediate effect and will not purchase any more raw material from them. In October 2016, Pöschl Tabak successfully took part in the certification of the German Society for Sustainability (DQS CFS GmbH, Frankfurt) according to the latest DIN ISO 9001: 2015. At the same time as the certification according to ISO 9001:2015, the revision assessment for the International Featured Standard Food (IFS) version 6 was carried out in parallel. As part of a system assessment at the end of 2018, the perpetutation of the ISO 9001 certificate was confirmed. At the re-evaluation of the IFS Food we achieved the certification of the new version 6.1. for the first time. With an excellent result of more than 98% Pöschl Tabak was once again awarded the "higher level". Due to the passed certifications, it is still ensured that the guiding principle of the company is guaranteed: "Quality is when the customer comes back and the product does not."